We supply an affordable skip hire service in Luton. Harpenden Skips deliver exceptional waste collection and a responsible recycling service at superb low prices! We offer a full range of skip sizes from 4 yard skips through to 12 yard skips to supply for all household and business disposal demand. Our Skips are delivered from our local waste recycling centre in Harpenden. If the skip is going to be parked off the road (i.e. driveway, garden) then you can also book your skip immediately and conveniently with our numerous secure payment methods our site supports. As a truly local skip hire company, we're able to keep our prices low and our service levels high - that's why we're happy to make you our price match promise! So whether you are clearing your garden in Leagrave, fitting a new kitchen in Stopsley or having foundations dug for an extension build in Caddington, Harpenden Skips have the perfect skip hiring service for you. We’ve got skip hire in Luton fully covered! Harpenden Skips have different recycling centres across the South East of England, we can deliver any skip size in Luton on any date that suits you. If your skip needs to be placed on the road it is law that you will be subject to a Skip Hire Permit so call 01582 765 657 our telephone unit will organise everything for you. If your skip can be parked off the road then enter your postcode into the skip booking form above for an instant quote. If you are unsure about the skip size you require don’t worry, just read our skip size guide. Most in-home or garden clearance projects require our 4 Yard Skip, whereas building and construction projects regularly require our 6 Yard Small Builder Skip or 8 Yard Large Builder Skips. You can keep the skip for up to 2 weeks (call us on 01582 765 657 for longer hire requirements) and importantly all of your waste will be handled responsibly, with recycling rates of over 90% achieved at our recycling centres. 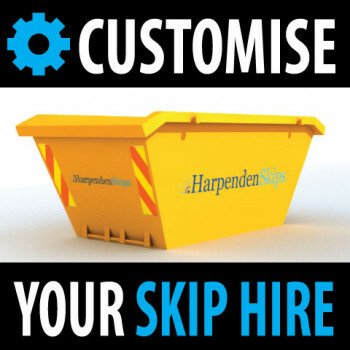 So if you need professional, reliable and cheap skip hire in Luton at market leading prices look no further than Harpenden Skips.